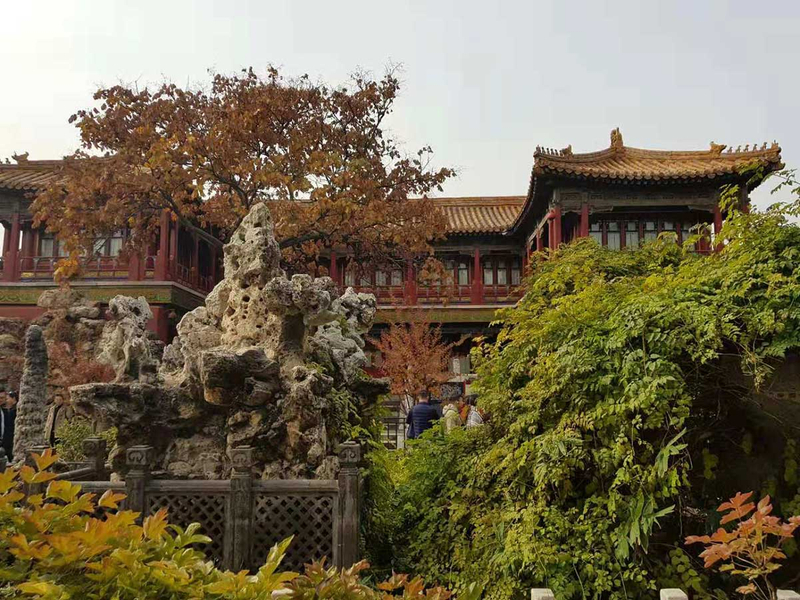 Beijing: China’s long history is a paradise for wanderlusts, and does not fall short in delivering a truly outstanding experience through its rich culture and archaeological wonders. 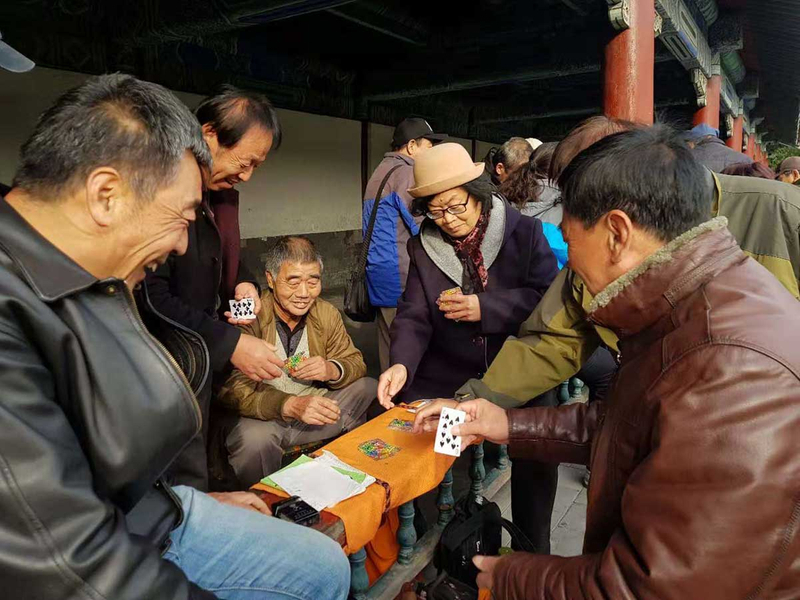 Known as the Land of the Red Dragon, the People’s Republic of China is home to 1.42 billion people with an estimated population density of 145 people per square kilometre, according to United Nations projections for 2018. There are 56 different ethnic groups officially recognised in China, out of which 91.51 per cent of Chinese are Han Chinese. However, its ethnic minorities also make a large impact in Chinese culture in terms of dialect, different cultural customs and food. The largest country in the world not only gave us one of the modern wonders – the Great Wall – but ancient China was also responsible for inventing gunpowder, paper, printing and the compass. 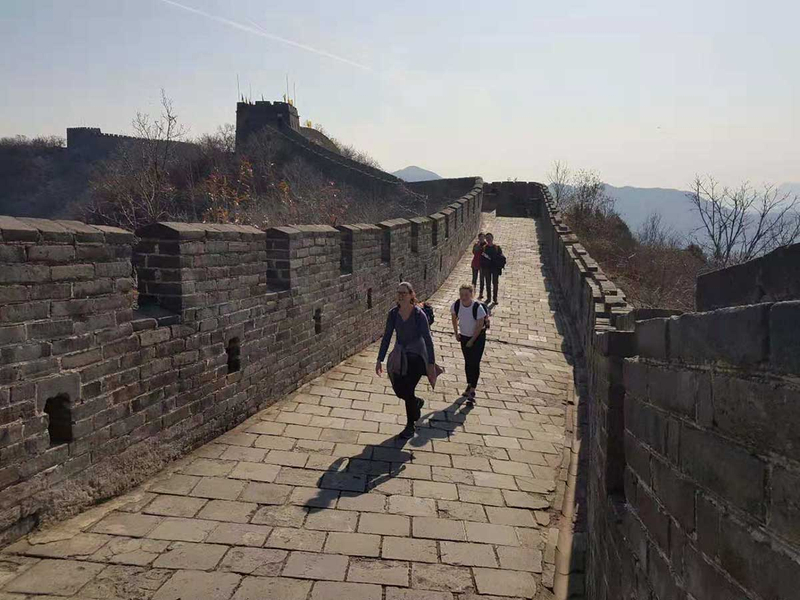 Travelling around a country that is made up of 9,597 million square kilometres may sound overwhelming at first, but with the help of high-speed trains and good planning, you can make the most out of your China trip in just one week. 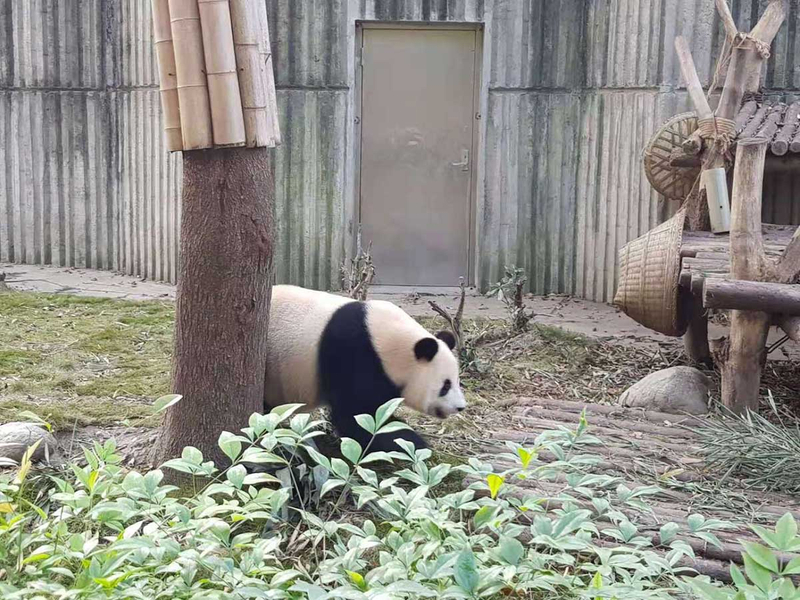 From the Forbidden City in Beijing to the Panda Research and Breeding Centre in Chengdu, Gulf News will explore some of the amazing places that China has to offer, while trying out its famous culinary delights in the process. Derived from the old name of Beijing, the Peking duck is the most famous roast dish in China due to its unique way of cooking. Traditionally, it is cooked over timber either from the crab-apple, hawthorn or peach tree. The duck is slow cooked upside down as its skin is glazes with honey, produced by the black bee of the jasmine flower. It ends up with a barbeque-like skin, crispy on the outside with succulent meat inside. It is then wrapped in a thin pancake and accompanied with Hoison sauce, shredded carrots, spring onion, sweet soya sauce, and autumn cucumber. 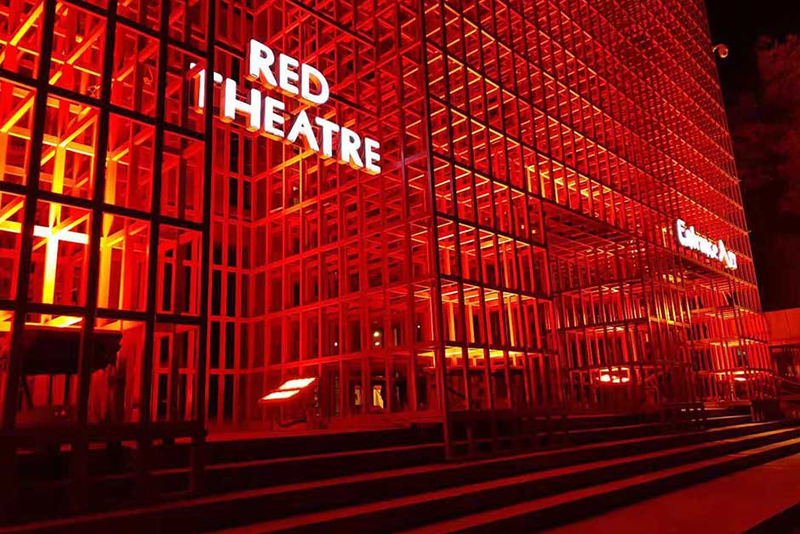 The Red Theatre is located in the Chongwen district of Beijing. Spectators can watch actors perform their daily one-hour shows at 5.15pm and 7.30pm. 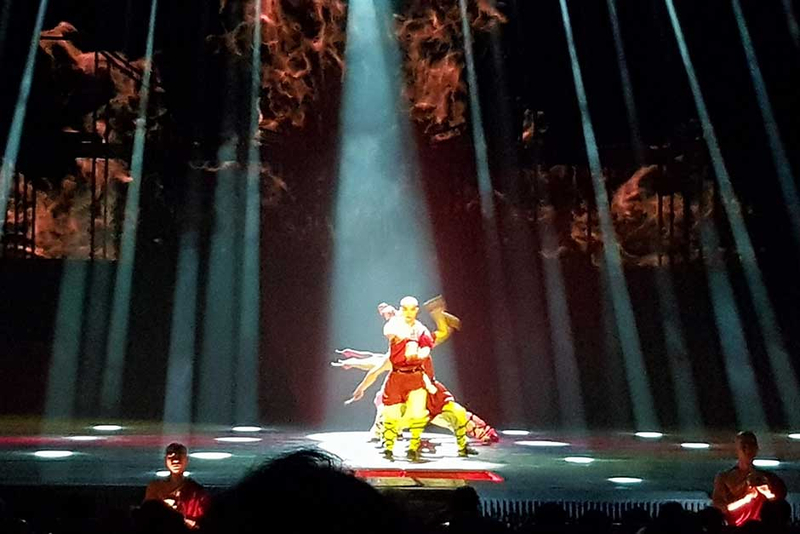 The Red Theatre gives an insight into the martial arts of China, and displays daily spectacular kung fu shows. Kung fu was first developed as a form of gymnastics to counterbalance the immobility of meditation. The monks studied the movement of animals and copied them, such as the way the snakes crawled and the tigers leapt. The sixth-century Indian Buddhist monk Boddhidarma was one of the most influential figures in the development of Chinese martial arts. Boddhidarma spent many years at the Shaolin temple where he taught monks movement and breathing exercises, which were later combined with indigenous martial arts to form Shaolin kung fu. 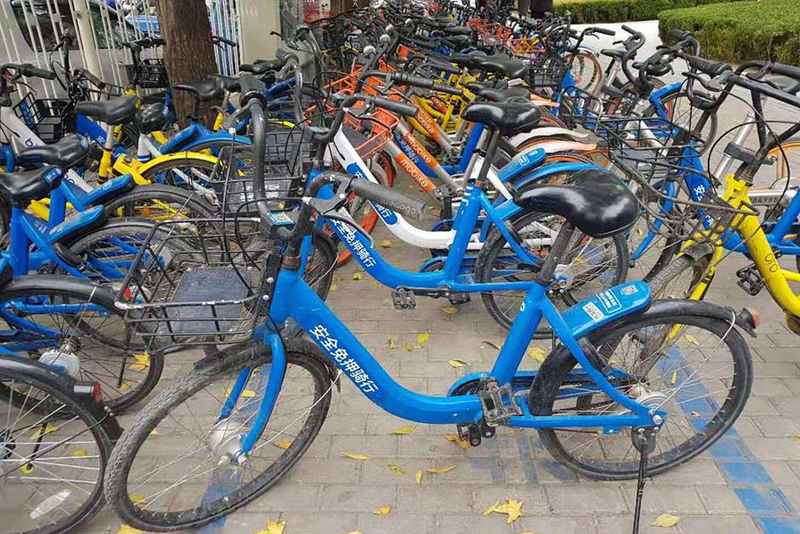 China has the most number of bicycles of any country in the world, where almost a quarter of the population owns one. 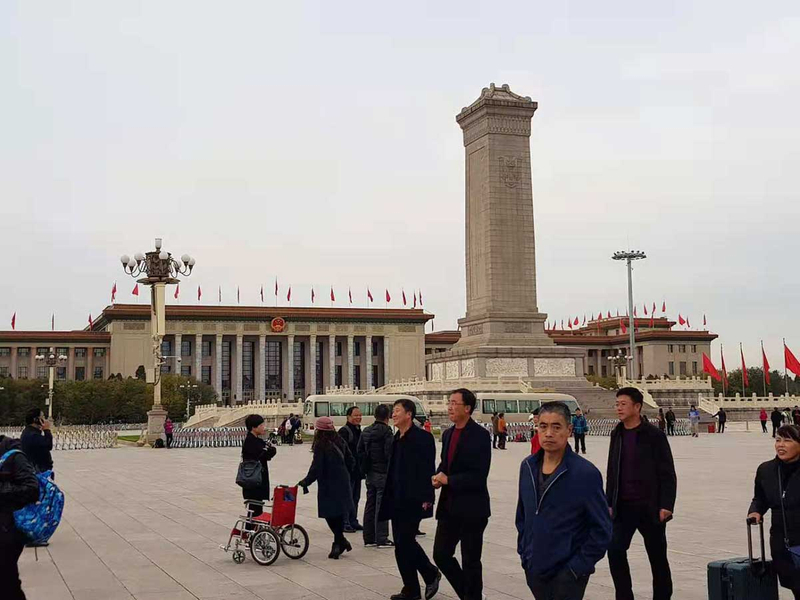 Located at the city's centre,Tian'anmen Square covers over 40 hectares and can be considered as the symbolic heart of China. 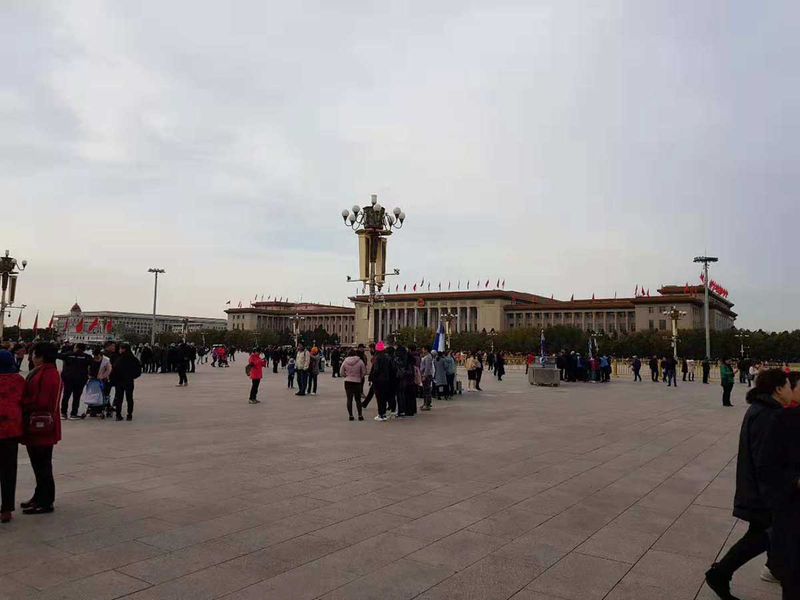 It is typically filled with Chinese tourists who want to see the corpse of Chairman Mao in his marble mausoleum. The Square is also home to the Monument to the Heroes; a 30-metre high obelisk that commemorates the victims of the revolution. Officially known as the Imperial Palace, the Forbidden City is made up 800 buildings and 9,000 chambers that date back to the 15th century. The hundred-hectare site was the official residence of 24 emperors, who lived on the premises with their 3,000 concubines. 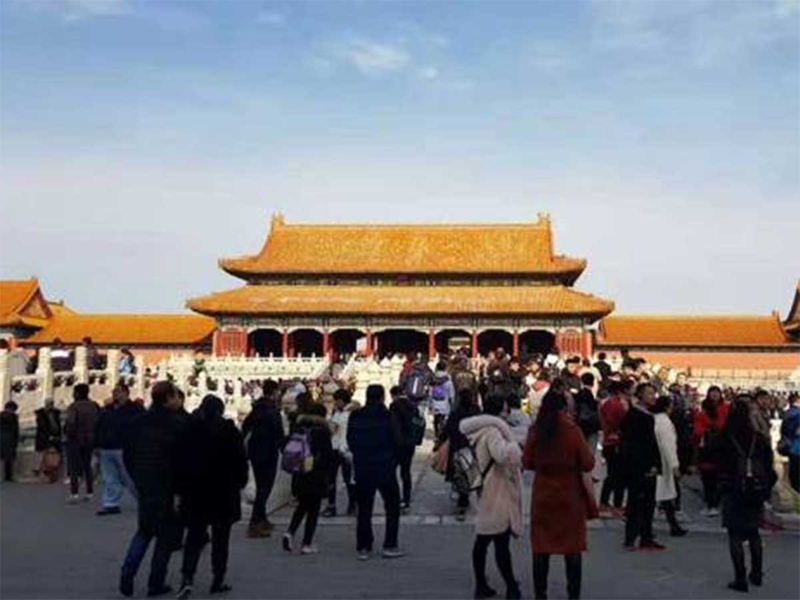 All the palace ceremonies were carried out in the Forbidden City, and was named as such due to the fact that regular Chinese folk were prohibited from even approaching the palace walls. 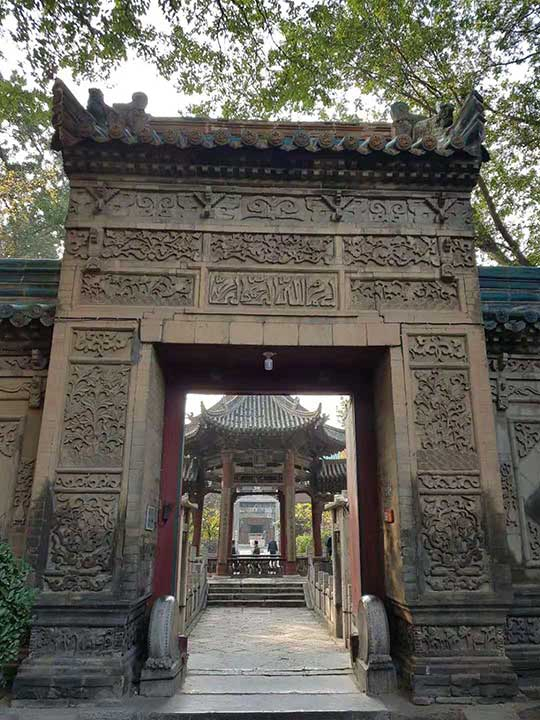 Only high-ranking officials and family members of the emperor were allowed to enter the gate. Concubines were considered as part of the emperor's property, but if within eight years they were still untouched by the emperor's hand, they were then thrown out of the palace and able to marry. 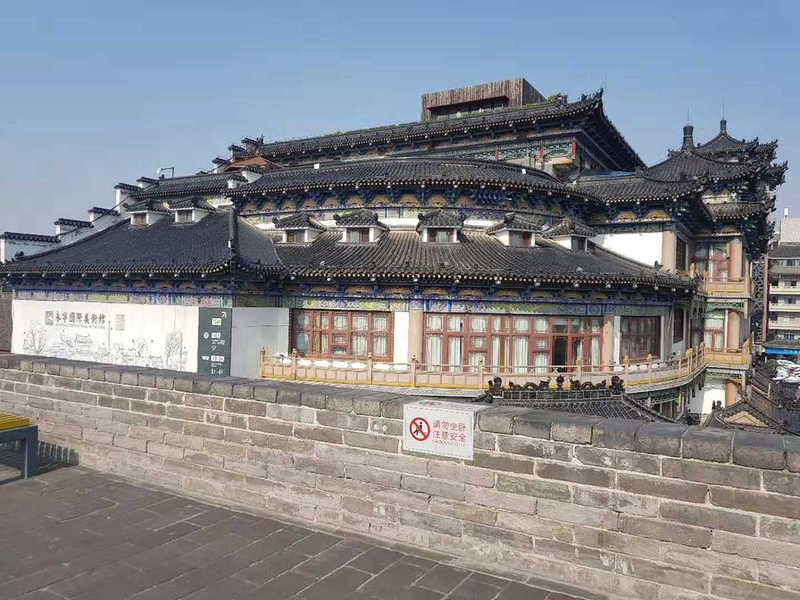 Unesco declared the Forbidden Palace as a World Heritage Site in 1987, while describing it as "the largest collection of preserved ancient wooden structures in the world". The site is currently operated under the Bureau of Antiquities of China's central government. Tiantan, called the Temple of Heaven in English, is situated two kilometres south of Tian'anmen. 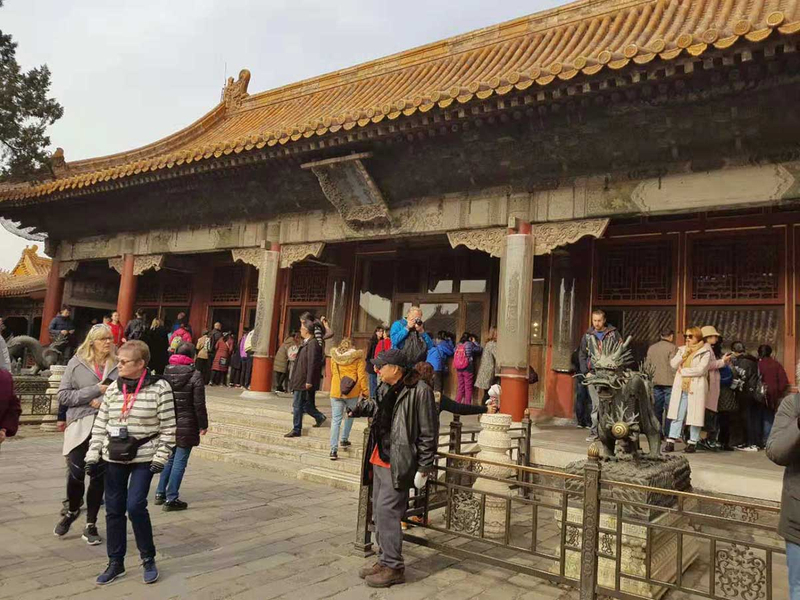 The temple was built between 1406 and 1420 during the reign of Emperor Yongle. The temple's structure represents Earth and Heaven - round and square respectively. The round temples and alters stood on square bases while the park was shaped in a semicircle next to a square. The emperor would usually visit twice a year and during a time of drought, would even go a third time as the purpose of the temple was to pray for a good harvest. The emperor considered himself as the Son of Heaven, and was the only person able to converse and be heard by the gods. 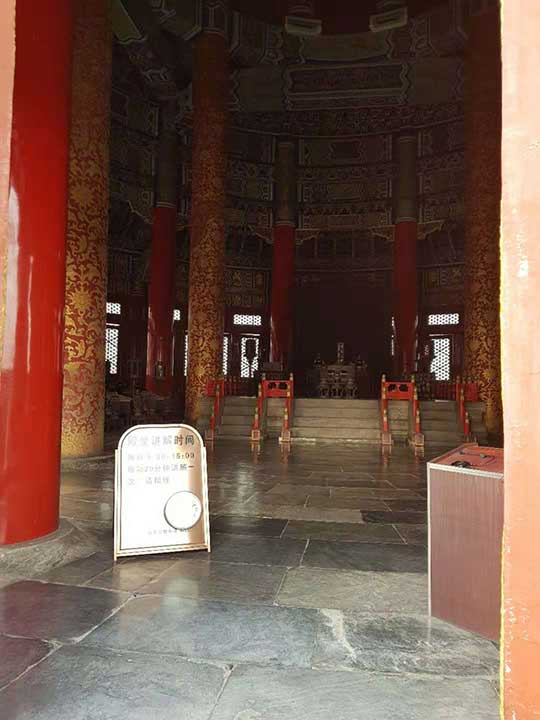 As the emperor made way to the temple accompanied with his court, the laymen were forced to lock their windows, stay indoors and keep quiet because it was forbidden to witness the emperor during the religious ceremony. The emperor would meditate in the Imperial Vault while talking to gods and the following day, would offer an animal sacrifice in return for a good harvest. 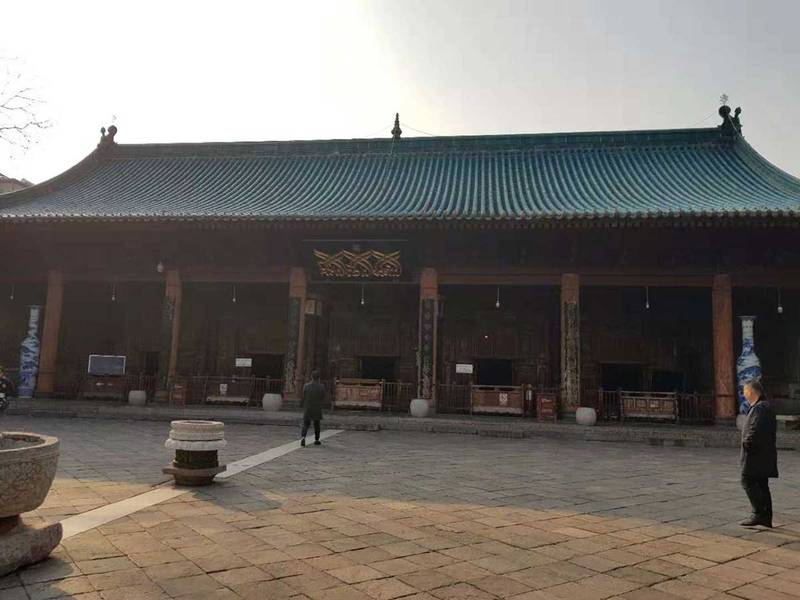 The Hall of Prayer for Good Harvests is the largest temple at the park, and was made completely out of wood and interlocked together without a single nail. The circular structure is three-tiered and supported by four pillars, which represent the four seasons. They are then enclosed by 12 outer pillars, reflecting the months of the year. 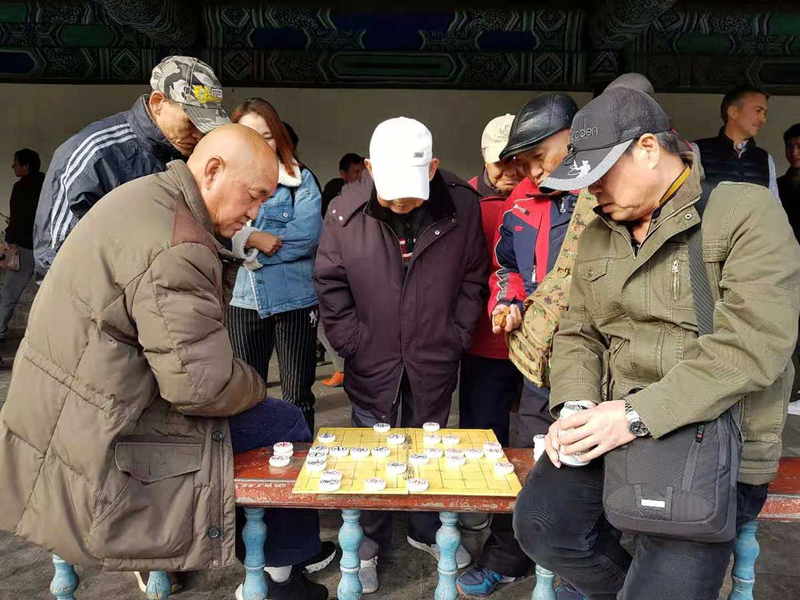 Retirees frequently spend their time at the Temple of Heaven playing games such as cards or chess, while either catching up with friends or making new ones. The first Emperor Qin Shi Huang initially built the wall around the fifth century BC, followed by the Han dynasty. 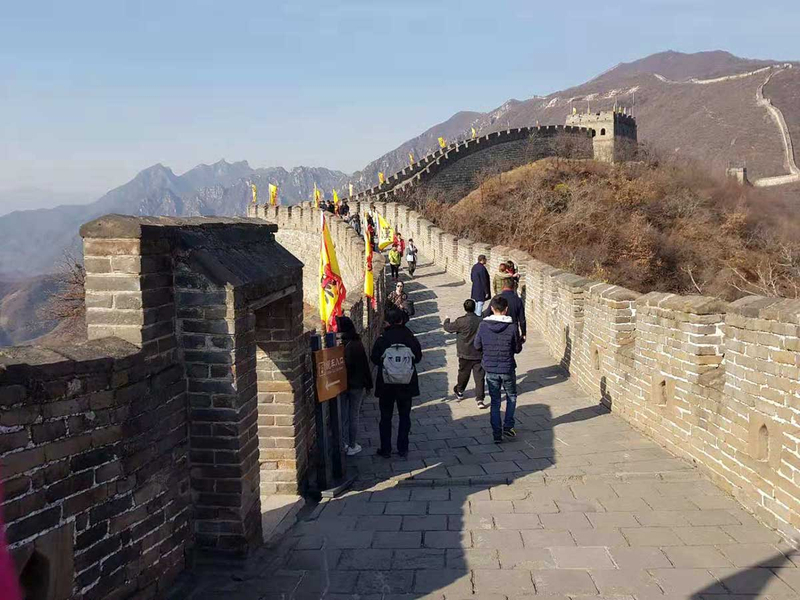 Although both dynasties contributed to the original construction of the Great Wall, the Han's was substantially longer than that of the Qin's. Both dynasties however, had the same intent, which was to construct a defence line against the Mongolian nomadic tribes coming from the north. More than 1,100 years passed between the Han and the last of the Ming dynasty, and each emperor focused their efforts on expanding their territories to the north. 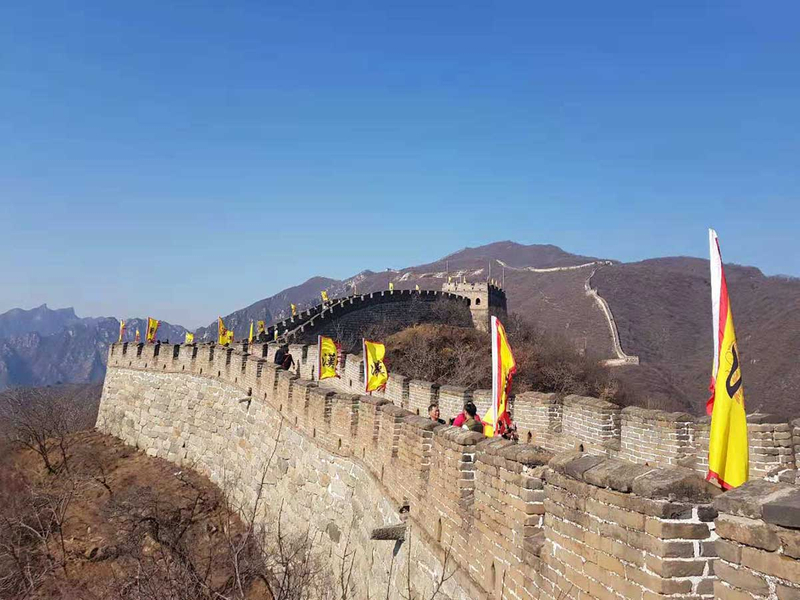 Nevertheless, the Great Wall over time was left standing in the middle of the country and became utterly useless, no longer being able to serve its function. The territories of China then shrunk again, and it was not until the Ming dynasty that the wall underwent mass-scale construction. 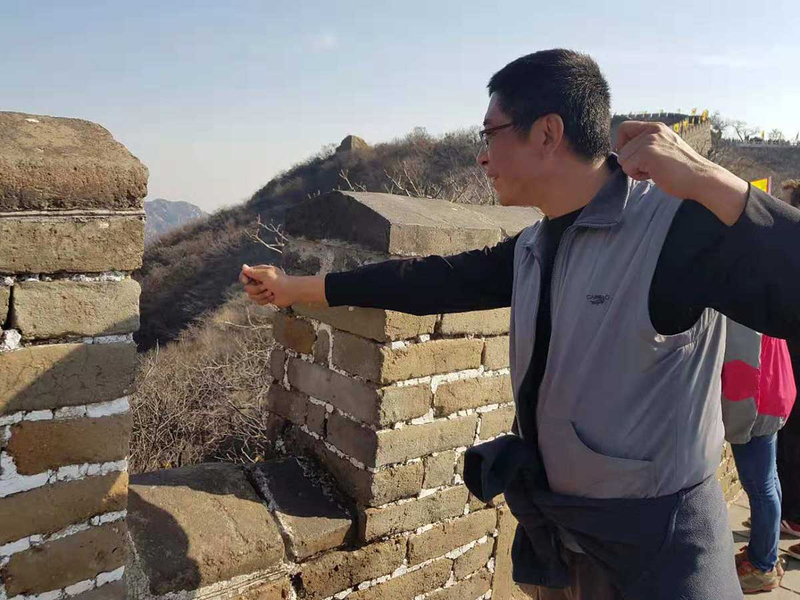 "So today, all the Great Wall of China is from the Ming dynasty because the others disappeared years ago," said Mel Xing, a freelance tour guide. "You've got two types of towers on the wall; the watch tower for keeping guard and the Peking tower for signals. 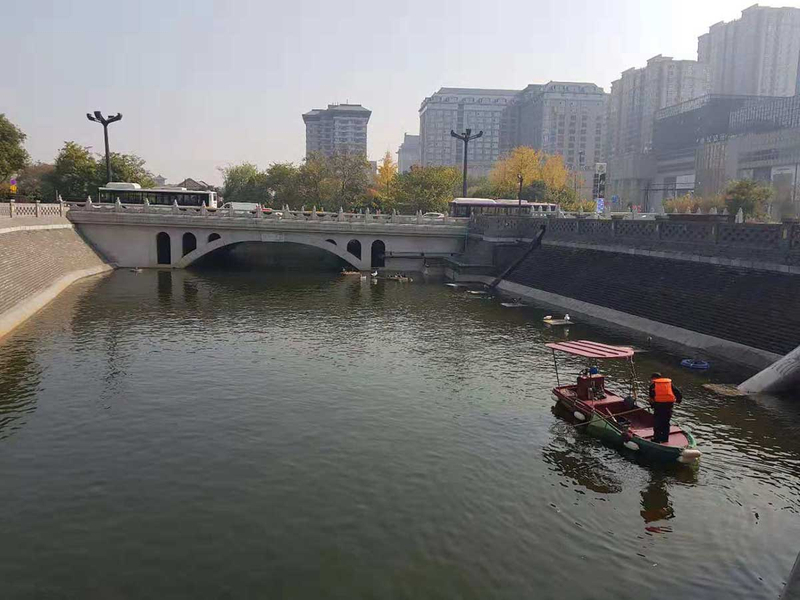 "Almost 97 per cent of the Peking towers were totally destroyed or naturally disappeared, and now all that you see are the watch towers," explained Xing. The Great Wall was constructed by criminals, civilians and deserters, and was known among labourers as the longest cemetery, "because for every 100 kilometres built, at least 420 people died". 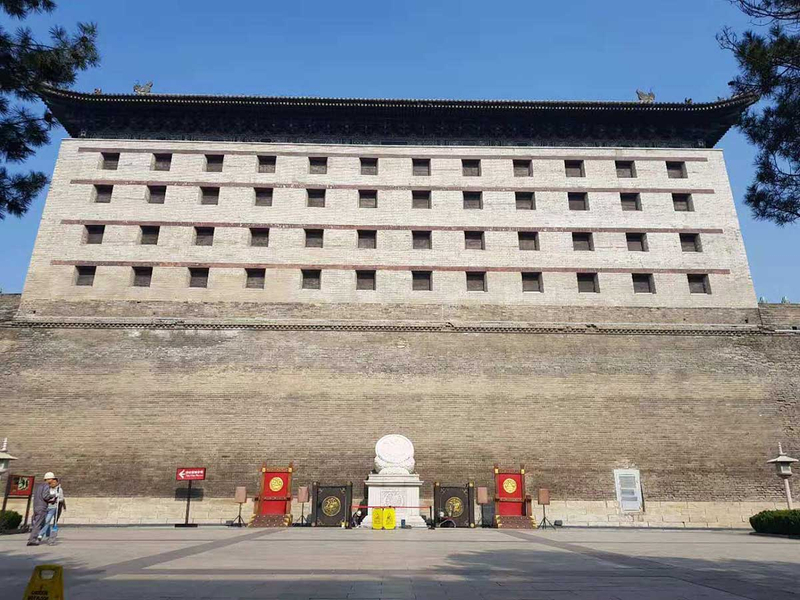 When the wall was used, soldiers on the second floor of the watch tower would signal when the Mongolians were approaching China. After spotting the signals, the soldiers on the second floor of the Peking tower would light flames to each other until the message reached downtown. The last soldier on the tower would then hurry to report the events to the emperor, who then decided what course of action to take next. After spending four days in Beijing, its time to head west to Xi'an - the capital city of the Shaanxi province. 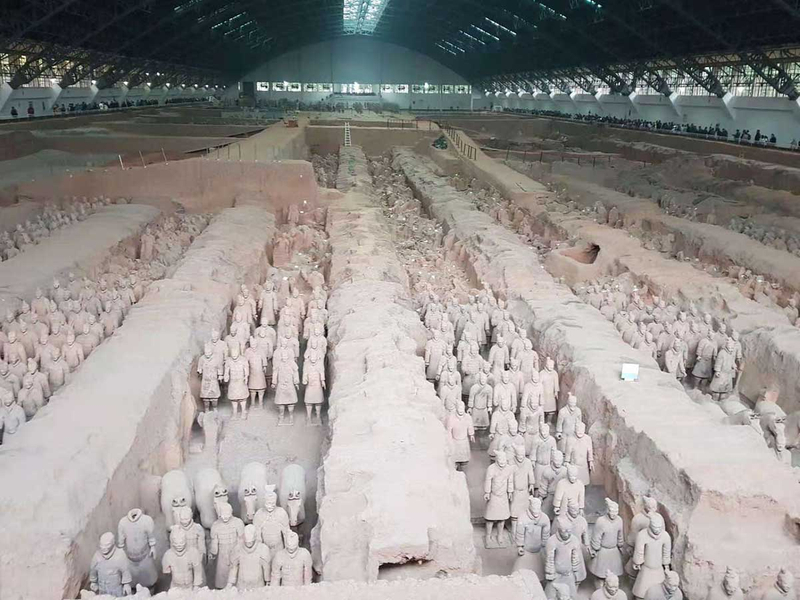 Xi'an served as the imperial capital for 11 dynasties between 1,000 BC and 1,000 AD and is home to the underground Terracotta Army of the Qin emperor, the Goose Pagoda and a thriving Muslim quarters. 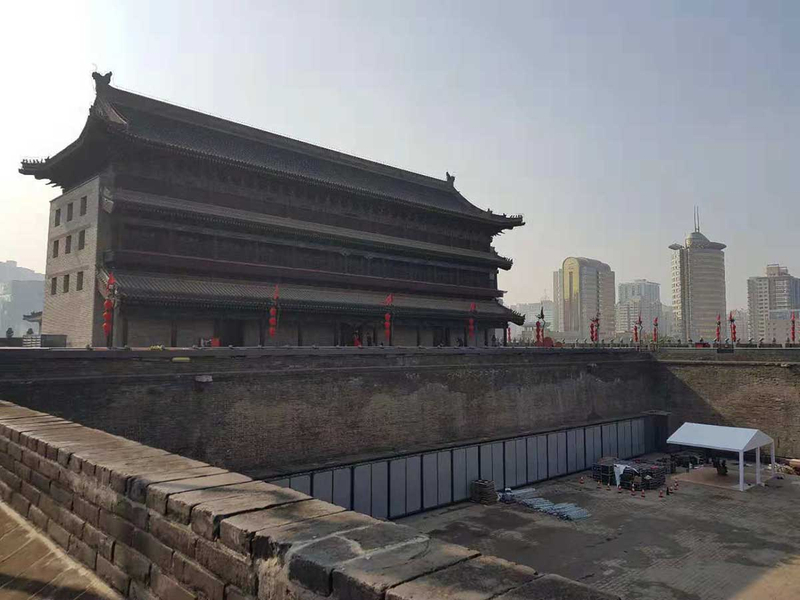 Xi'an is also known for being the starting point of the Silk Road, when Chinese silk was transported to dress Roman senators and their wives at the court of Augustus, who was the first emperor of the Roman Empire. 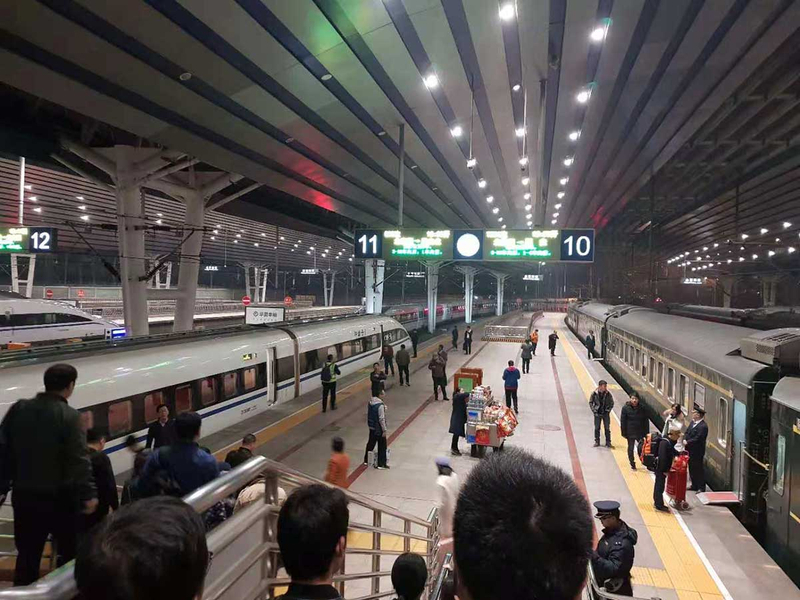 You can catch a high-speed train from Beijing to Xi'an and arrive within fours, as the train covers 1,216 km at lightning speed that goes above 300 km/h. 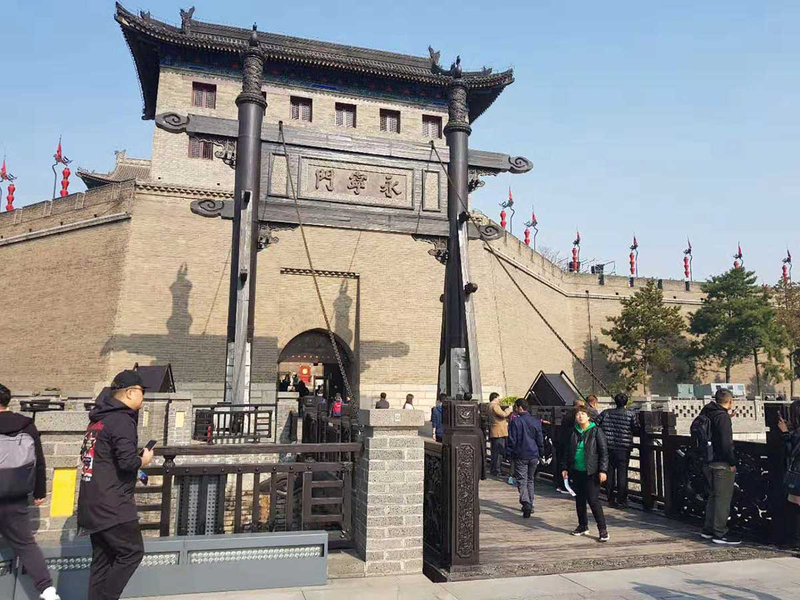 The centre of Xi'an is surrounded by city walls and a bell tower, which marks the crossroads of the four main streets: Bei Dajie, Nan Dajie, Dong Dajie and Xi Dajie. The city walls are the only ones in China that you can still find completely intact. 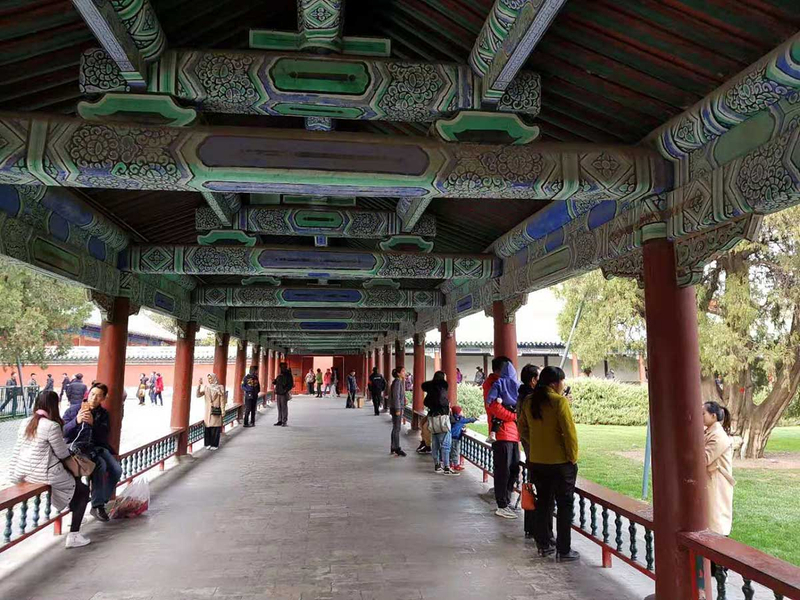 It was built between 1374 and 1378 during the Ming dynasty, at a length of 13.7 km. The city is surrounded by eight rivers with two rivers in each direction, which meant that people who lived there would always have a supply of fresh water. "We have four distinct seasons. Long winter, long summer, short spring and short autumn. 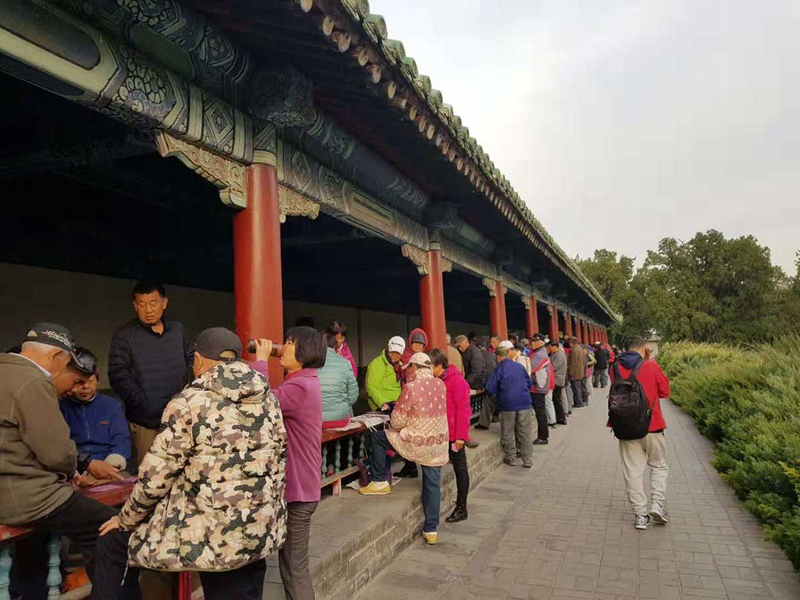 But 1,000 years ago, this area was a subtropical climate and was much warmer than it is now," said Paul Su, associate professor at Xi'an International Studies University. The city was chosen as the capital by 13 dynasties due to its strategic geographical location; small, narrow paths that allowed the emperor to send a small but elite army to defend the city and prevent enemy troops from attacking. Su pointed out that a popular phrase in the province sums up the history of China in a nutshell. "If you want to understand the 10-year history of China, please go to Shanghai. 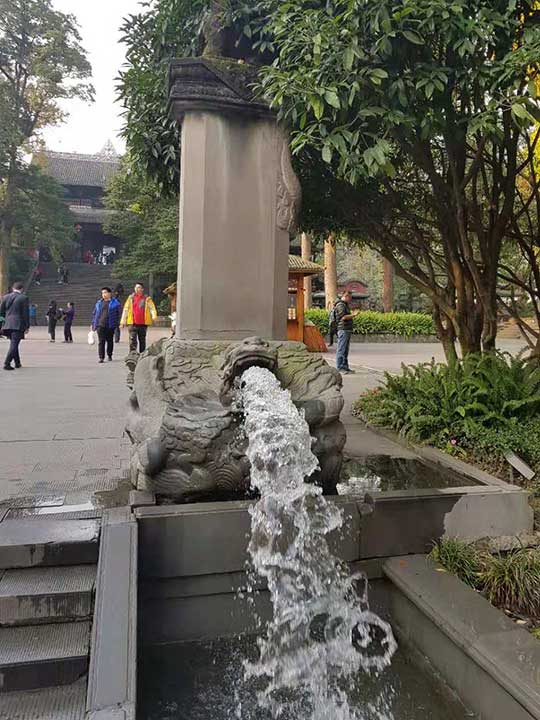 If you want to understand the 500 year history of China, please go to Beijing. 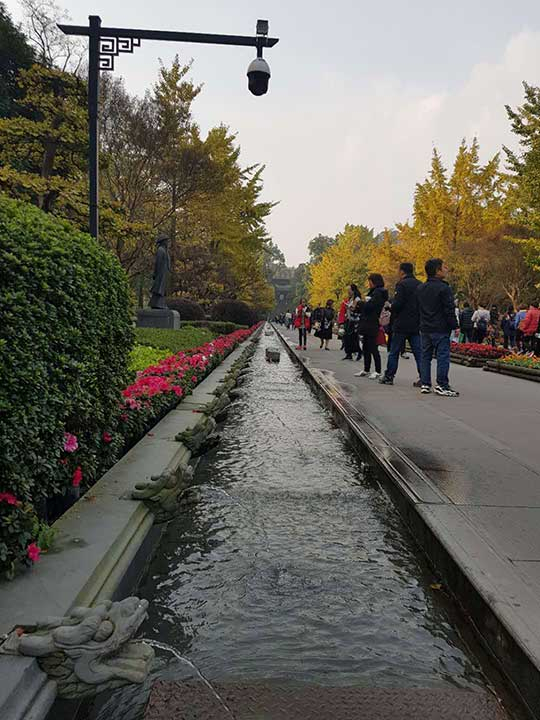 If you want to know the 1,000 year history of China, please come to Xi'an". At the time, the population of the city reached 1 million and was recorded as the largest city in the world from 618 to 907 AD - twice the size of Rome and six times larger than Baghdad. The city was frequently visited by hundreds of thousands of people, including business men, religious people and priests, as well as official delegates from neighbouring countries. 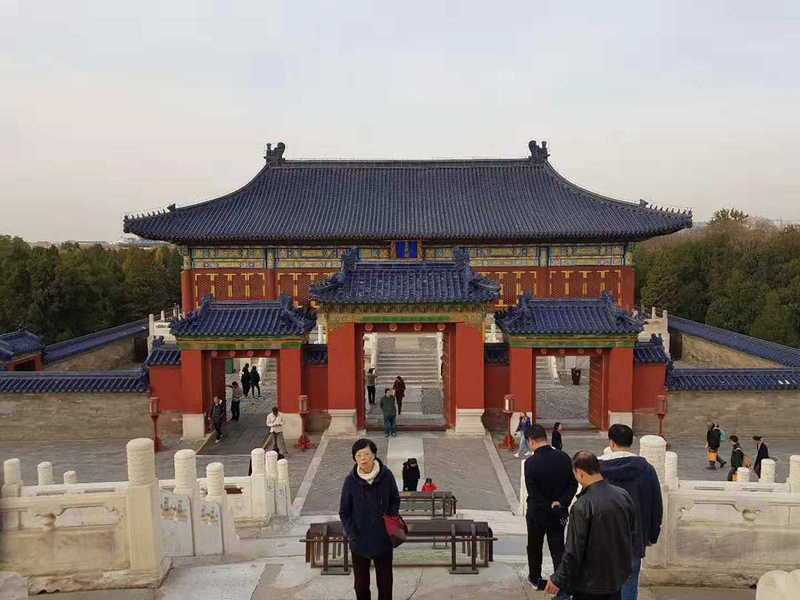 The Chinese government would encourage foreigners to live in Xi'an, and provide students with free accomodation and education while they learned the Chinese language, literature and culture. The benefits provided by government institutions were one of the main reasons that encouraged Japanese students to study Chinese. After returning to Japan, they were then able to create their own written language based on Chinese characters. "That's why it is very easy or Chinese tourists to read signs when travelling in Japan because although the pronounciation of a word is different, the meaning is the same," added Su. 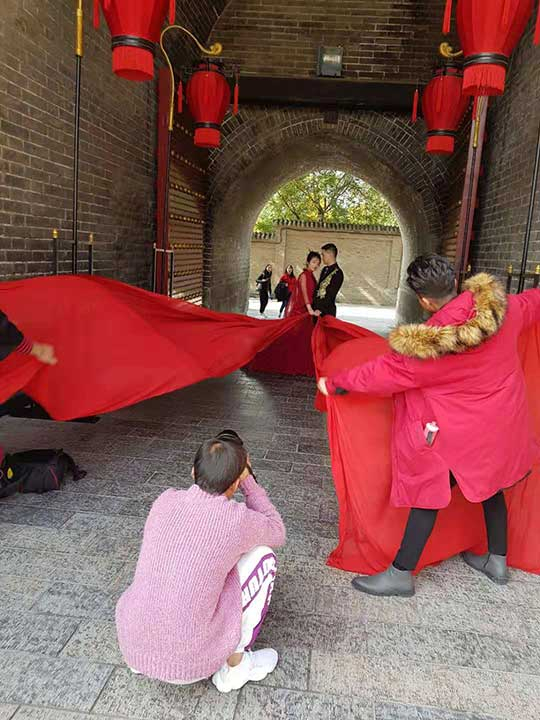 The city wall is one of the landmark buildings in Xi'an where newly weds like to have their photos taken. In 1974, one of the archaeological wonders of the world was actually discovered accidentally by local farmers who were in search of water as they were drilling a well. 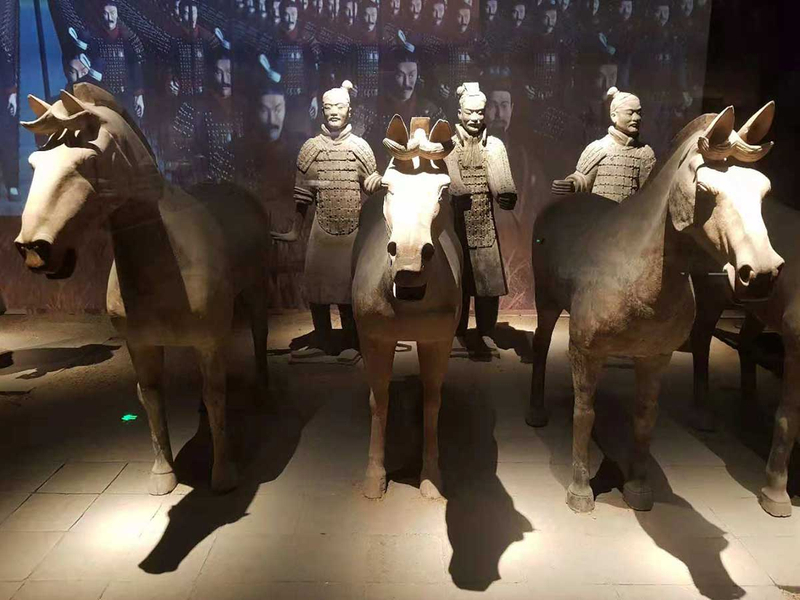 Today, the site is home to the Terracotta Warrior and Horses Museum and holds three rectangular pits of soldier figures. The Terracotta Army, which is now a Unesco World Heritage Site, was built to guard the tomb of Qin Shi Huang and dates back to 210 - 209 BC. Every face of the army statues are different and it is believed that each statue was a model of real soldiers in the Imperial Guard. 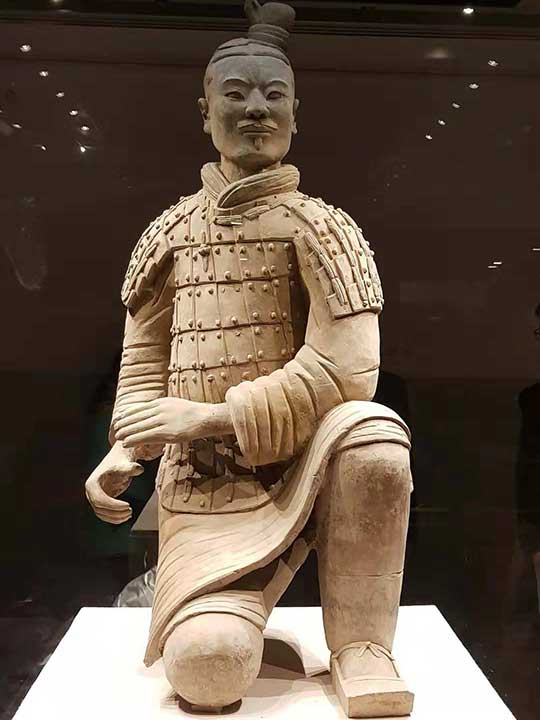 The average soldier stands at 1.8 m high and used to hold real weapons, such as crossbows, swords and spears, with arrowheads that contained poisonous lead. The largest of the three vaults, Pit One measures 230 m in length and 62 m in width, covering an area of 14,260 square metres. 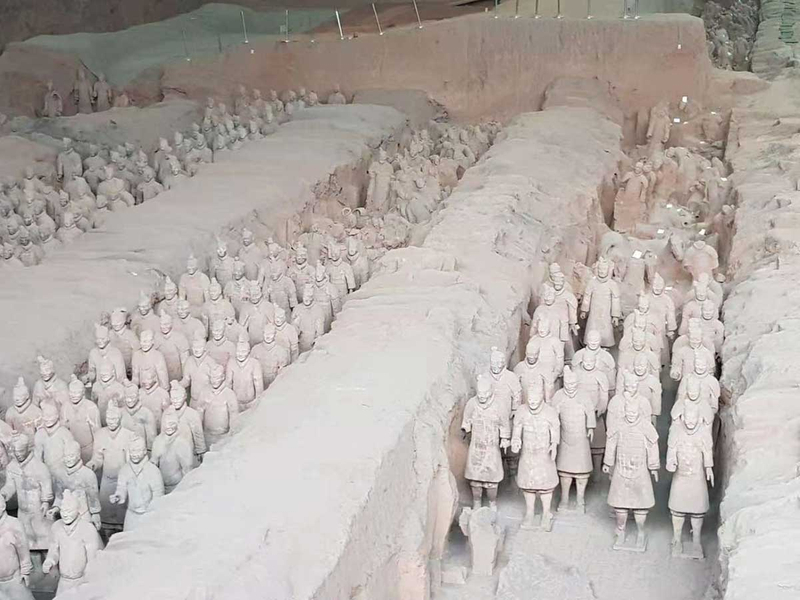 Excavations are continously carried out and until now, around 2,000 pottery warriors and horses, along with 20 wooden charriots, were dug up from an area of 4,000 square metres. 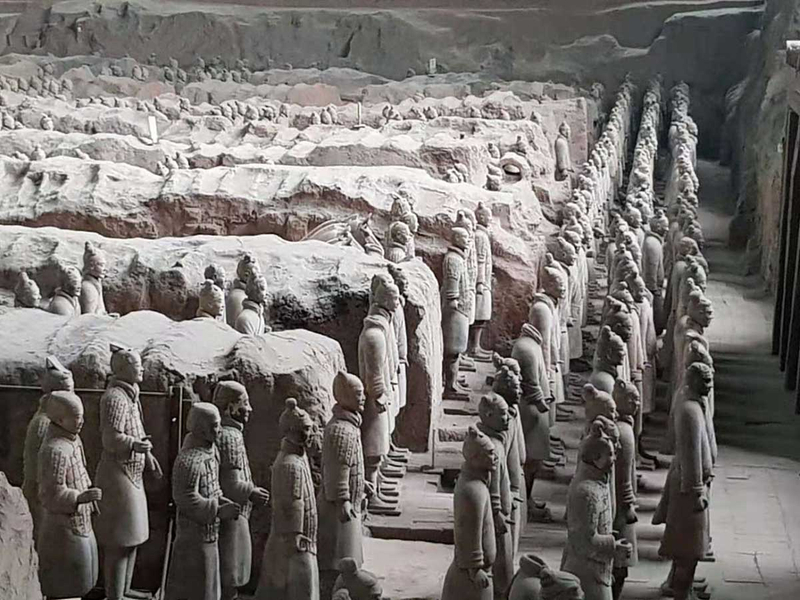 Officials at the site said they assume that more than 6,000 terracotta warriors and horses, and 50 chariots were buried in the pit. The three pits were built five metres below ground level and the statues were placed in corridors. The corridors, divided by partitioned walls, were paved with pottery bricks on which the figures were placed. A wooden roof was then installed, supported by timber, and covered with earth in order to totally conceal the terracotta figures from the outside world. The two remaining pits are smaller in comparison to the first one, and are also under excavation. Pit 2 is assumed to contain more statues with a diverse display of postures and a wider range of soldiers that include crossbowmen, charioteers, cavalry and infantry. An armoured infantryman was discovered in Pit 2 from the centre of the archer formation. The pose of both hands indicate that this figure originally held a crossbow. In total, 160 kneeling archers were found in the second pit. 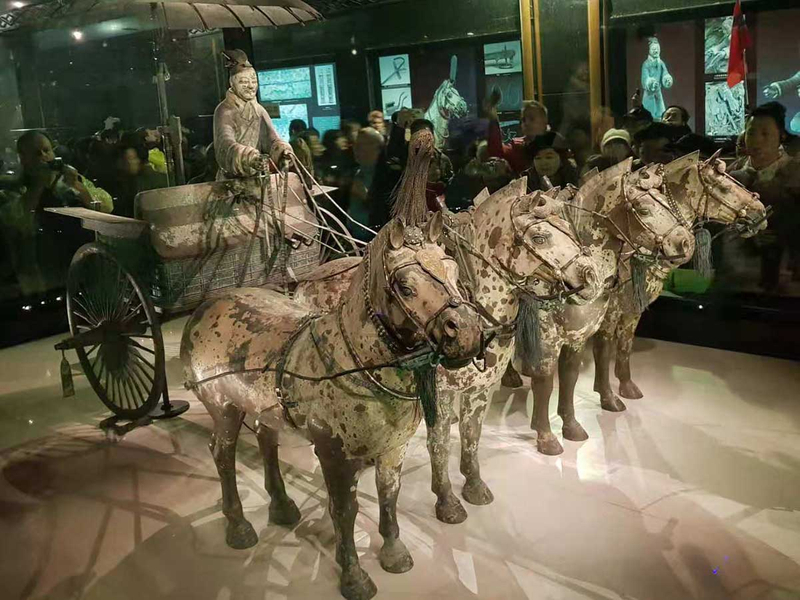 Two bronze chariots were found in 1982 near Qin Shi Huang's tomb, and depicts the Imperial Fleet leader's chariot. The chariot had four horses and a driver, and was decorated with dragon, phoenix and cloud designs, while accompanied with a gold canopy and harness. The emperor's chariot at the back had seats and beds, and was made with such immaculate detail that visitors could even see the driver's knuckles, nails and fingerprints. 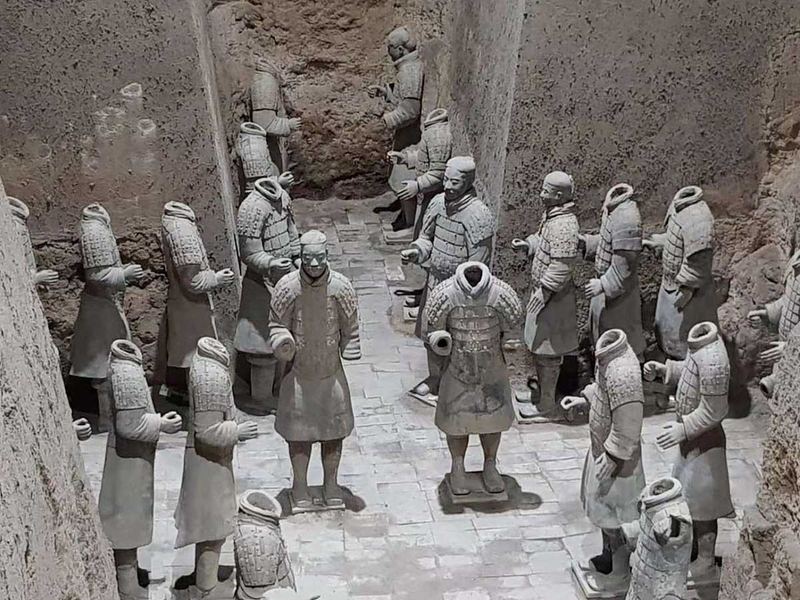 The third pit holds 68 terracotta figures and a charriot, and form a guard of honour instead of a battle formation. Animal bones discovered in the pit revealed evidence of ritual sacrifices, which an army would have been expected to perform before going into battle. Two million Muslims live in Xi'an, and its vast population is reflected in the bustling Muslim Quarter, located inside the city walls. 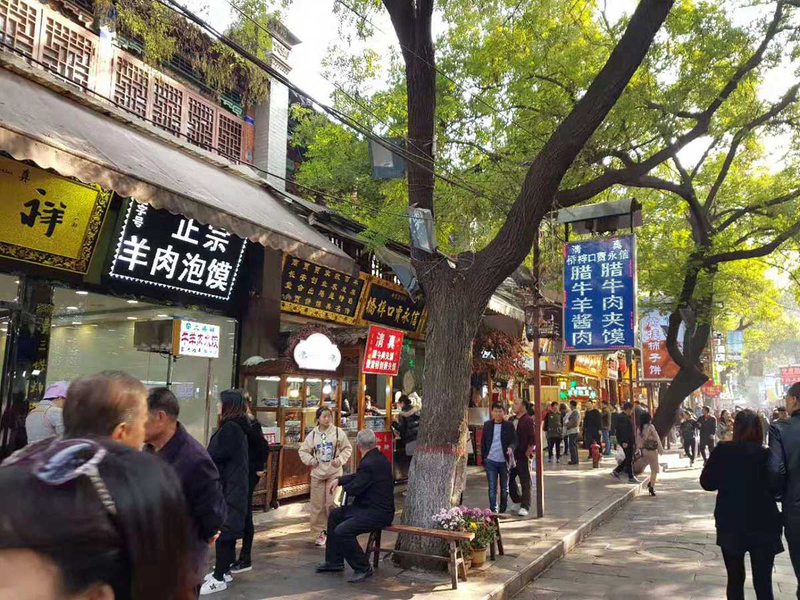 The quarter comprises of four neighborhoods: Huajue Xiang, Hongbu Jie, Xuexi Xiang, and Sajin Qiao, which collectively act as a major tourist hotspot mainly for its culture and food. The Great Mosque is the largest mosque in China, built during the early Ming dynasty, and is still active today. 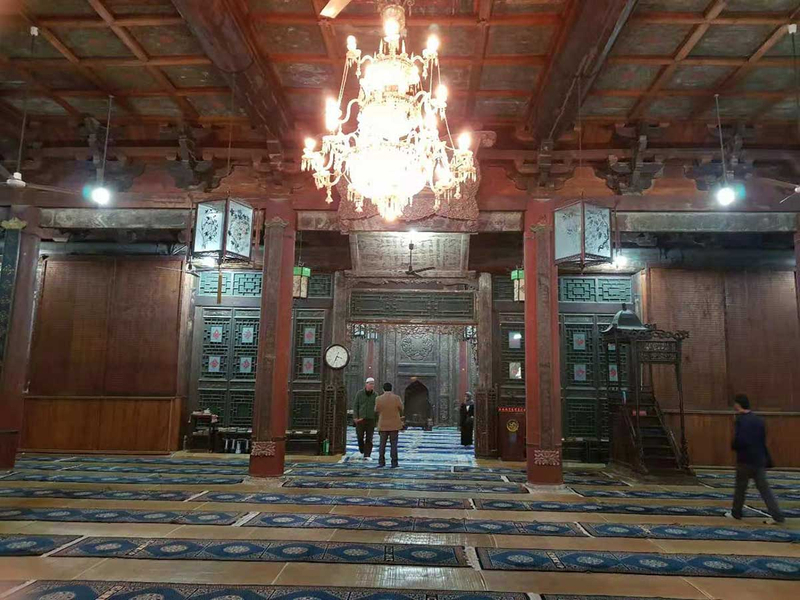 Consisting of more than 20 buildings in its five courtyards, the Sunni mosque covers 13,000 square meters and is filled on Fridays with Chinese Muslims, especially the Hui ethnoreligious group. 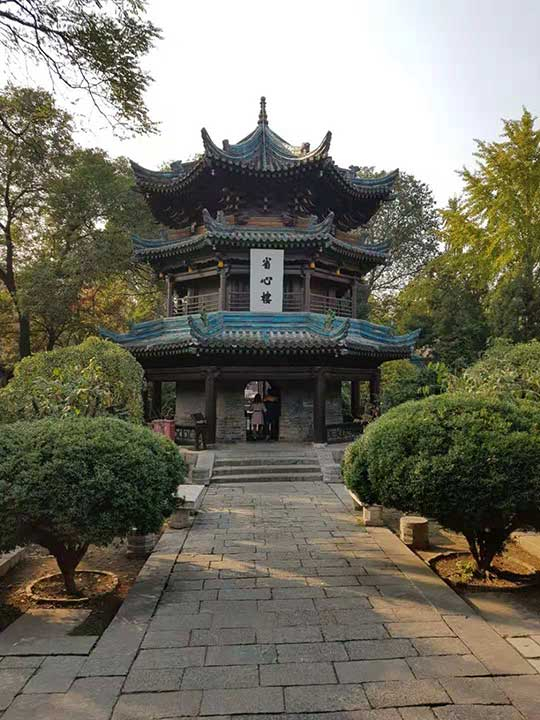 In 1956, the mosque was declared a Historical and Cultural Site Protected at the Shaanxi Province Level and by 1988, was promoted to a Major Historical and Cultural Site Protected at the National Level. The mosque, known as the Huajue Mosque in Chinese, combines Islamic and Chinese architecture that not only follows the principles of feng shui but also faces the direction of Makkah. Imam Yousuf, who manages the mosque, explained that it was built in the shape of a rectangle from the east to the west, which is divided into four courtyards. 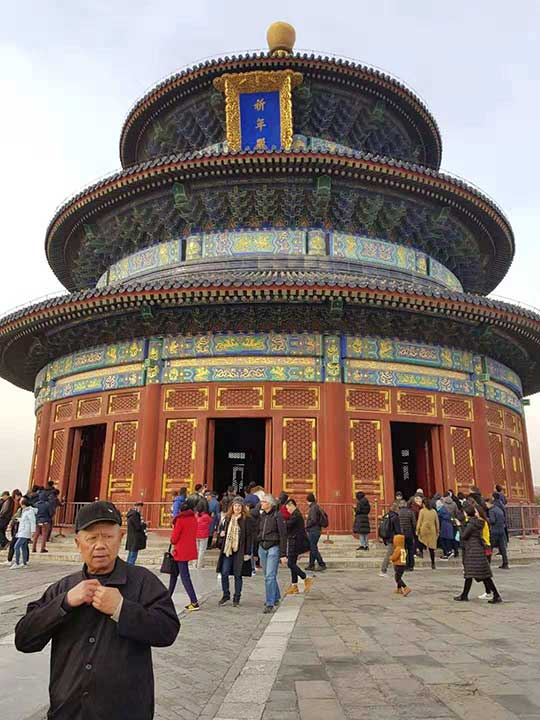 "Since we opened the gates of China to the world in 1978, this mosque has received more than 10 million visitors and Muslim brothers who came from over 100 countries," he said. 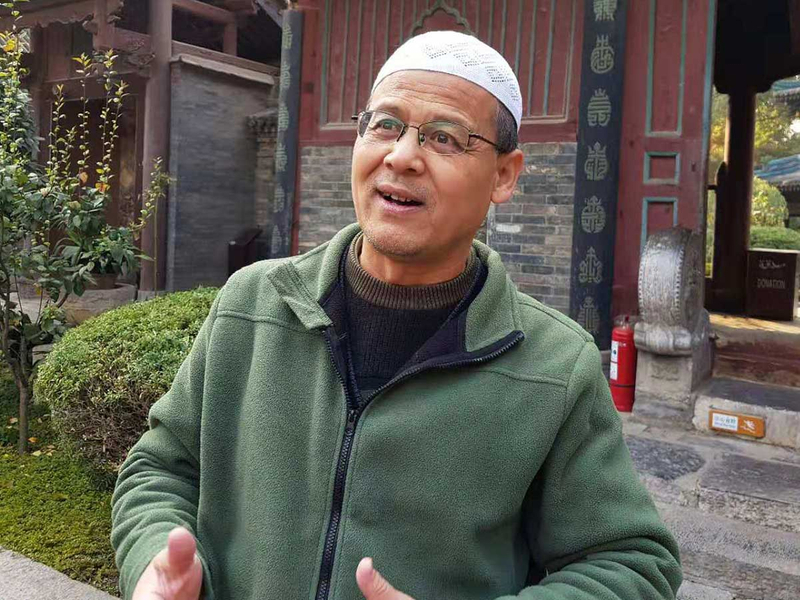 Imam Yousuf manages the Xi'an Great Mosque, the largest mosque in China, which received over 10 million visitors since 1978. The Introspection Tower serves as the minaret and is the tallest building in the mosque. The two-storey structure impressively stands with an octagonal roof, and in ancient times, the call for prayer was made on the second floor. The roof of the worship hall is covered with blue glazed tiles, while its ceilings are carved with over 600 classical scriptures decorated with patterns of flowers. 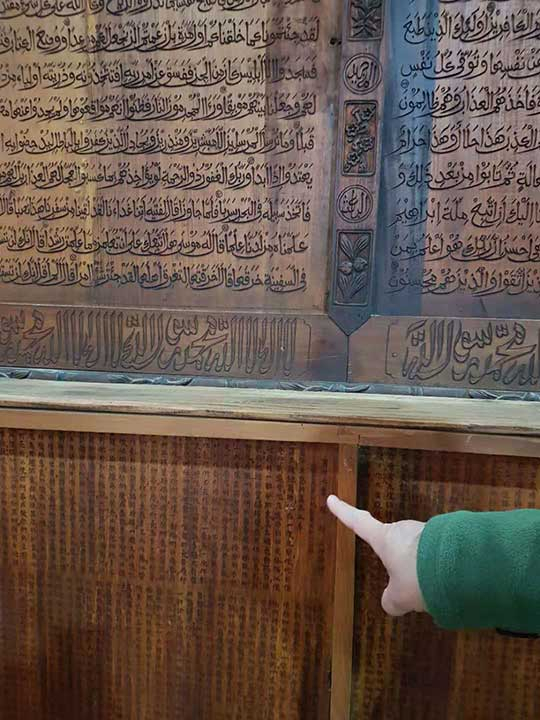 The 600 wooden boards inside the hall were carved with all the pages of the Quran. Thirty boards are engraved in Chinese while the remaining others are in Arabic. The Muslim Quarter is filled with street food and vendors, and all food establishments comply with halal standards. You haven't tried Chinese food until you've eaten in China. Rice is a staple for southern dishes while the cooler north replaces it with wheat either in the form of noodles or buns. 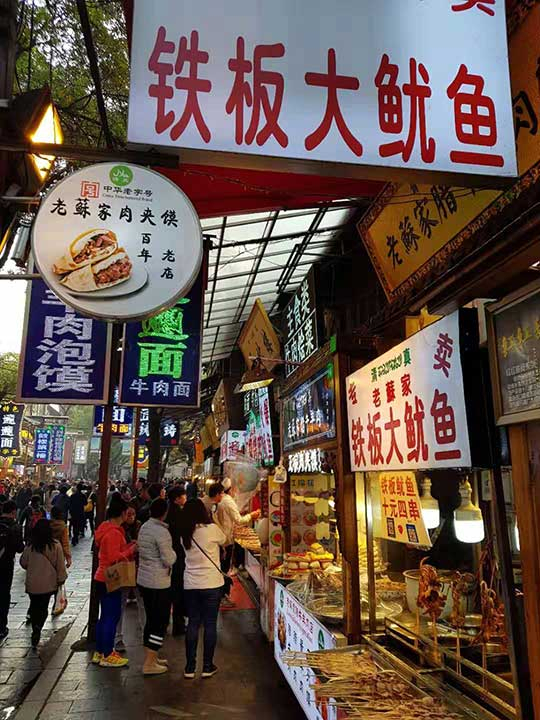 With around 23 million Muslims in China, the demand for halal restaurants is quite high and can be found scattered throughout cities, particularly in the Muslim quarter of Xi'an. 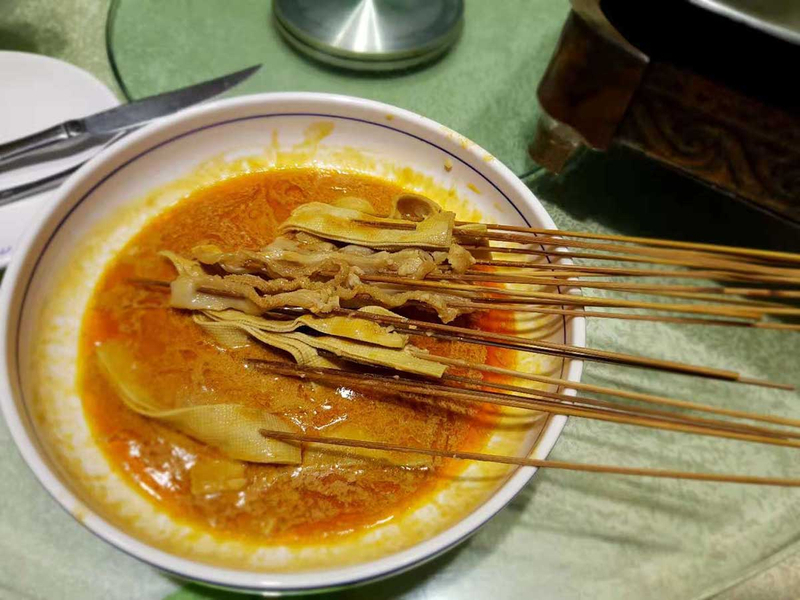 The dishes are mainly made up of vegetables, beef and lamb, and would certainly tickle your taste buds as most dishes tend to lean towards the spicy side. 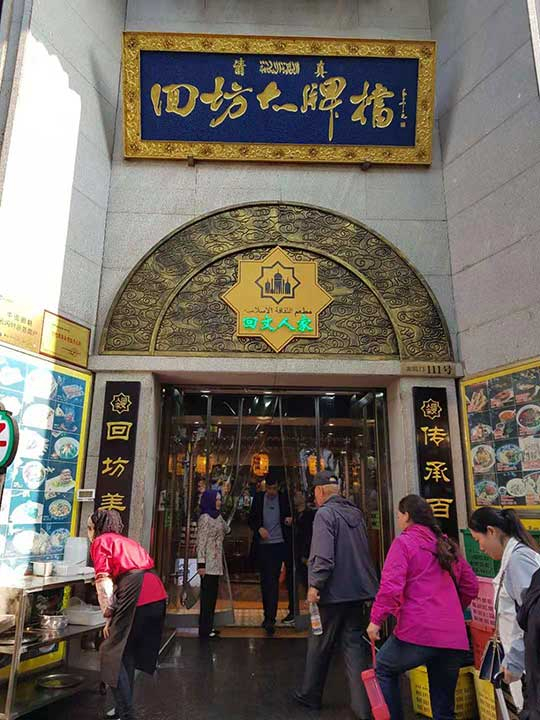 In Chinese, halal is called Qingzhen Cai and the restaurants have a distinct green character that is easy to identify; sometimes, the word is also spelt in Arabic. 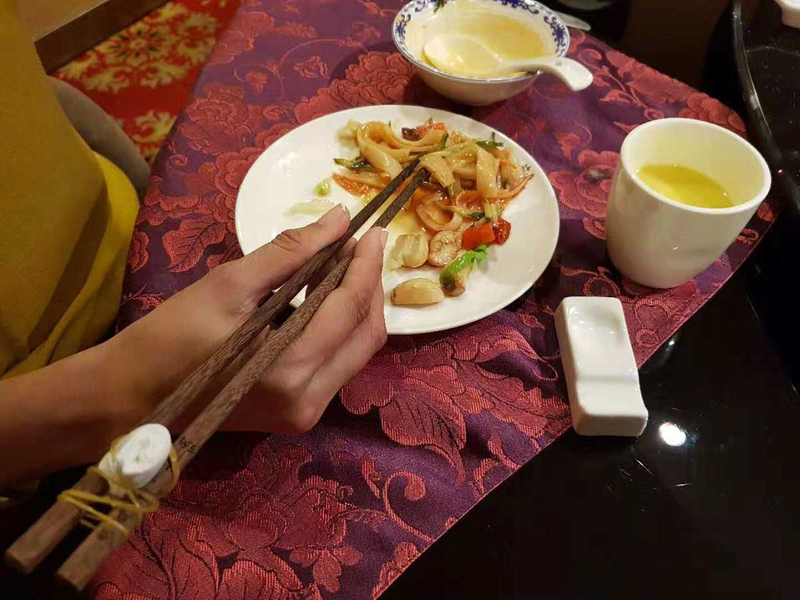 If you are a novice to chopsticks, a simpler way to learn how to use the eating utensil is by wedging them together with a large piece of tissue and binding them with rubber bands. Beef meatballs soup is a popular dish among Chinese Muslims. Some of the main ingredients include tofu, cabbage and carrots. 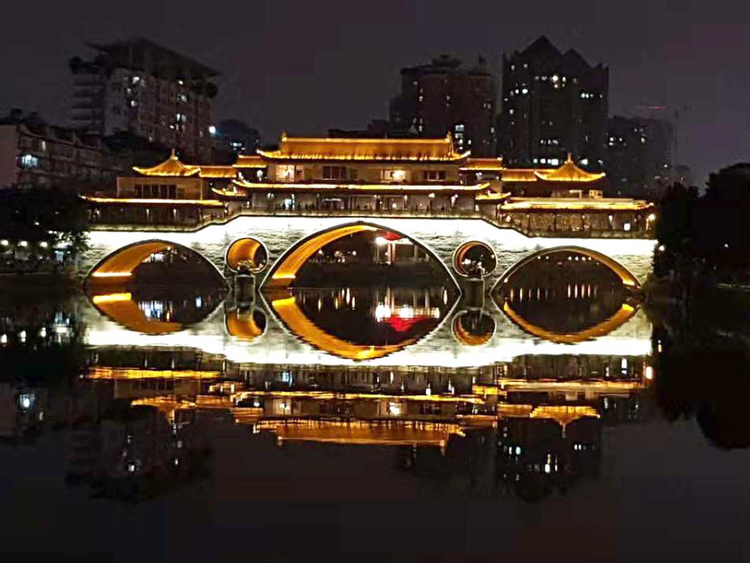 The next and final destination is Chengdu, a modern city famous for its slow-paced lifestyle, pandas, tea houses, and extremely spicy food, especially its hot pots. 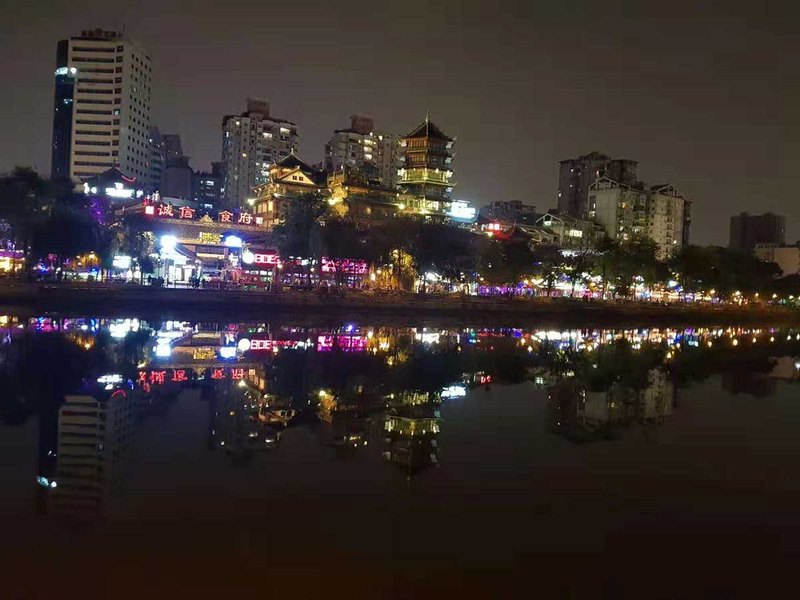 While it is unofficially known among Chinese as the City in Style due its abundance of designer brands and shopping centres, Chengdu was also recognised by Unesco as the City of Gastronomy. 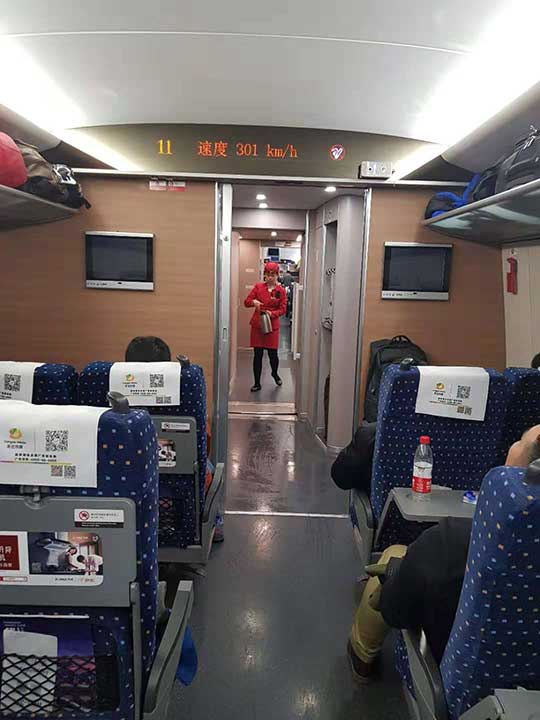 You can travel from Xi'an to Chengdu, the capital city of Sichuan, in four hours via high-speed train. 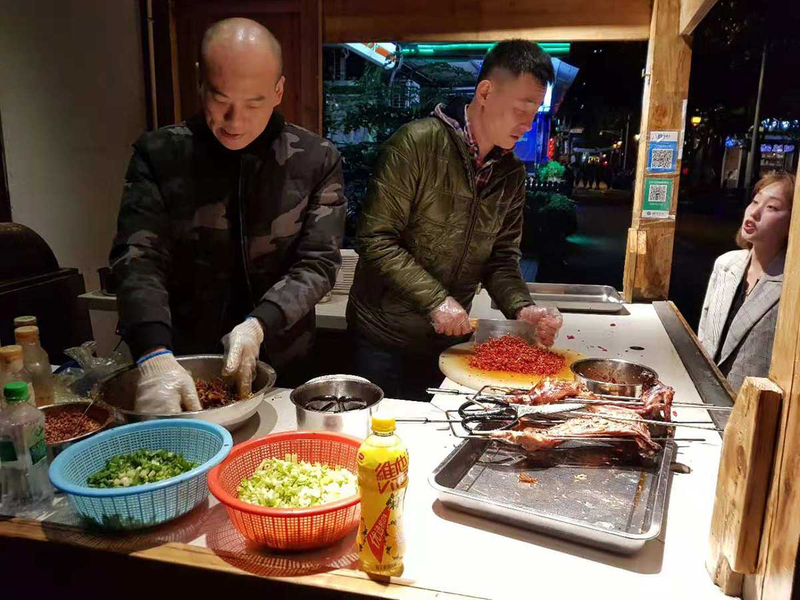 Visitors in Chengdu can also catch a bite at kiosks along the Fu and Jin rivers. 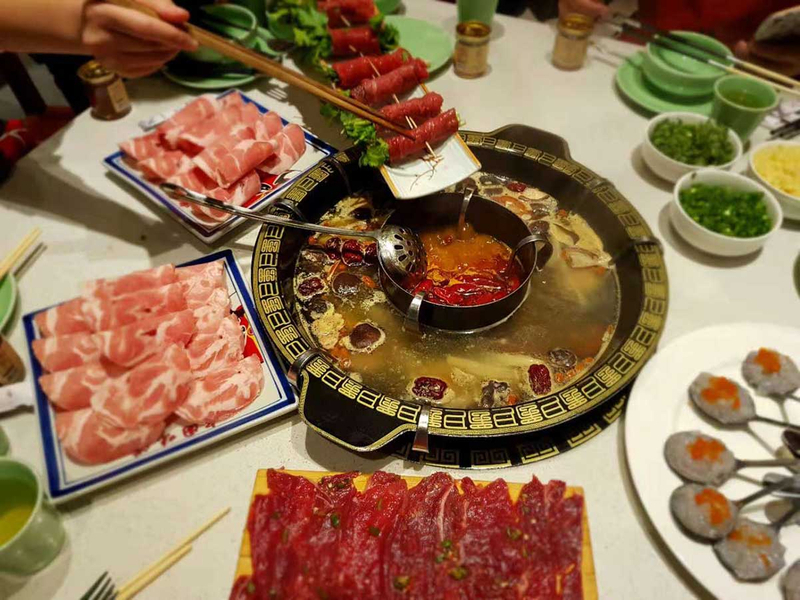 One of the many traditional styles of Chinese cooking is a hot pot, and the version offered in Sichuan is famous for it being exceptionally spicy. 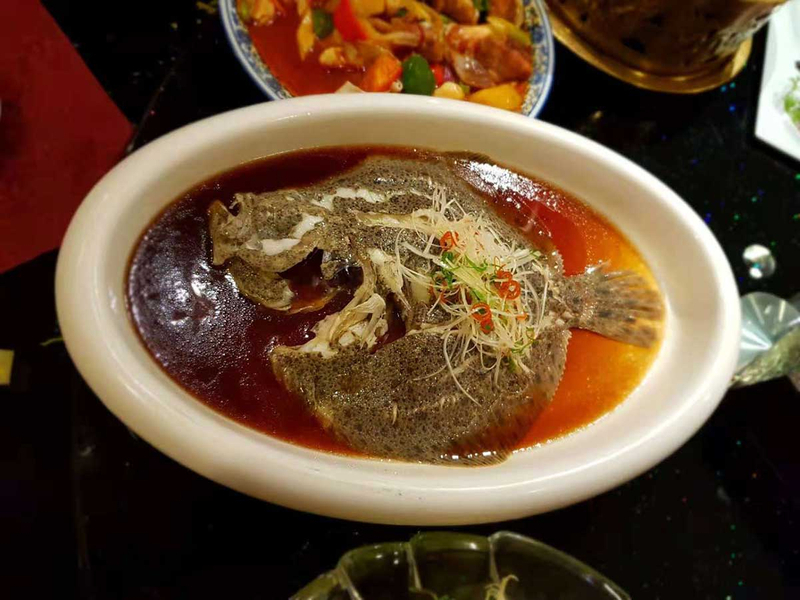 The meal is prepared with soup stock and as the water boils, ingredients such as vegetables, tofu, meat and fish are gradually placed into the pot. 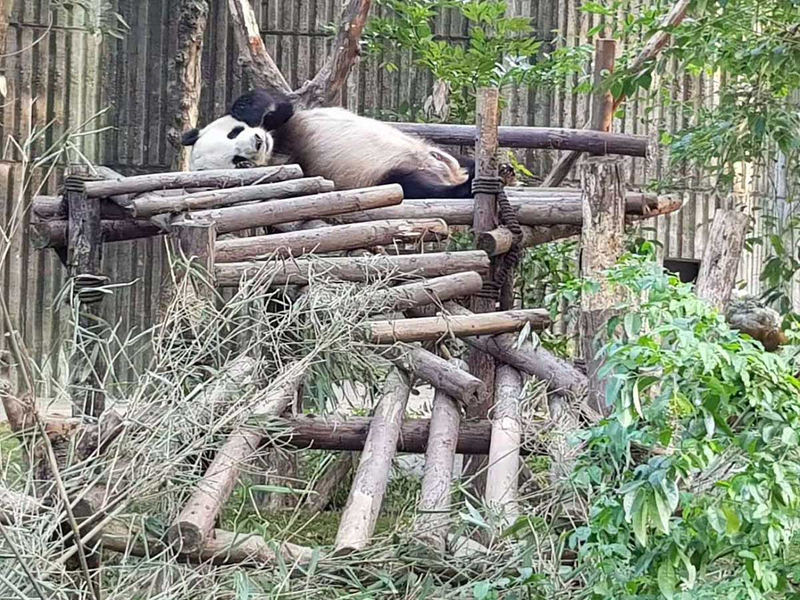 Located eight kilometres away from the city is Chengdu's Panda Research and Breeding Centre, which holds 97 pandas in an area of 300 square kilometres. 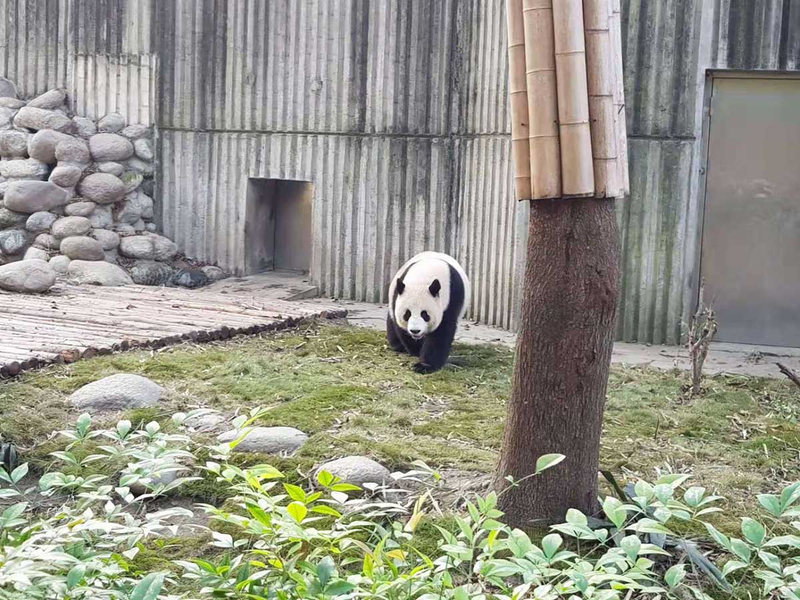 Chen Lin, a tour guide at the centre, explained that the giant pandas generally live in the mountain ranges of central China, and are not limited to the province of Sichuan but can also be found in Shaanxi and Gansu. An adult panda can eat about 20 kg of bamboo per day, which are all grown in the city of Yaan, 200 km away. Meanwhile, cubs are brought indoors during feeding time and are given milk. 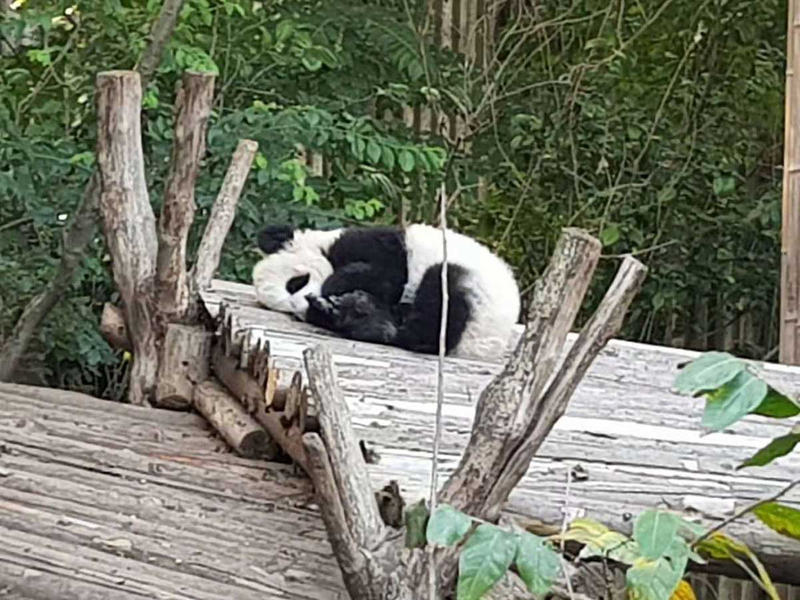 "The mating season for pandas is only five days a year between March and April, and they usually give birth to one cub every year. This year, 13 cubs were born," said Lin. The gestation period can range from 95 to 160 days. 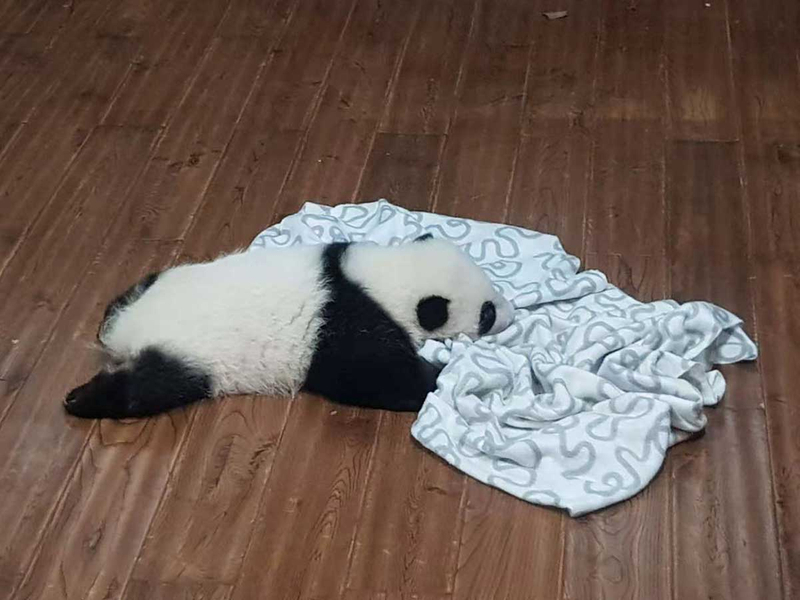 The health of pandas is a priority at the centre, and are provided with the utmost attention from 15 to 25 veterinarians who are available at any given time. 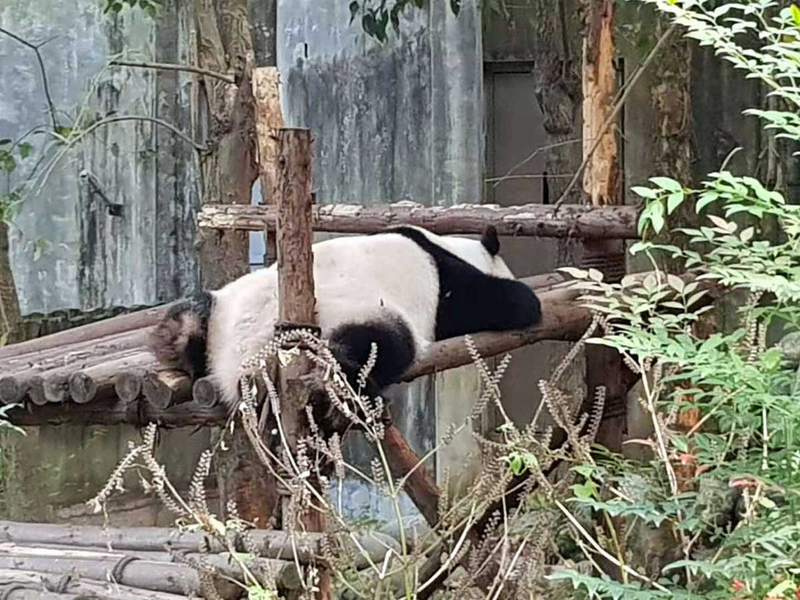 In 2016, the International Union for Conservation of Nature and Natural Resources (IUCN) categorised the Giant Panda from an endangered to a vulnerable species. 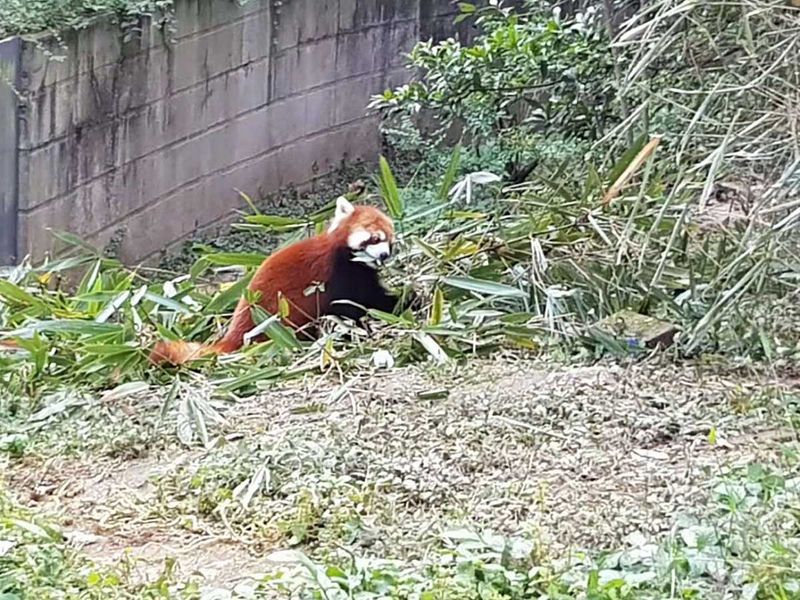 "We have an understanding with zoos inside the country and abroad, and lend pandas on a five to 10 year loan to places like the US, Germany and Canada," added Lin. 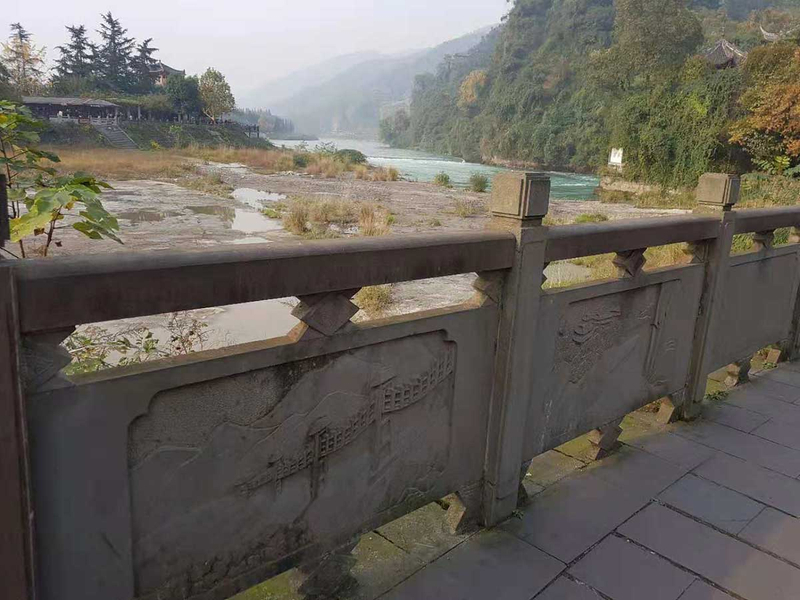 Sixty kilometres northwest from Chengdu lies the city of Dujiangyan, home to a 2,000 year old irrigation system that is still used today. 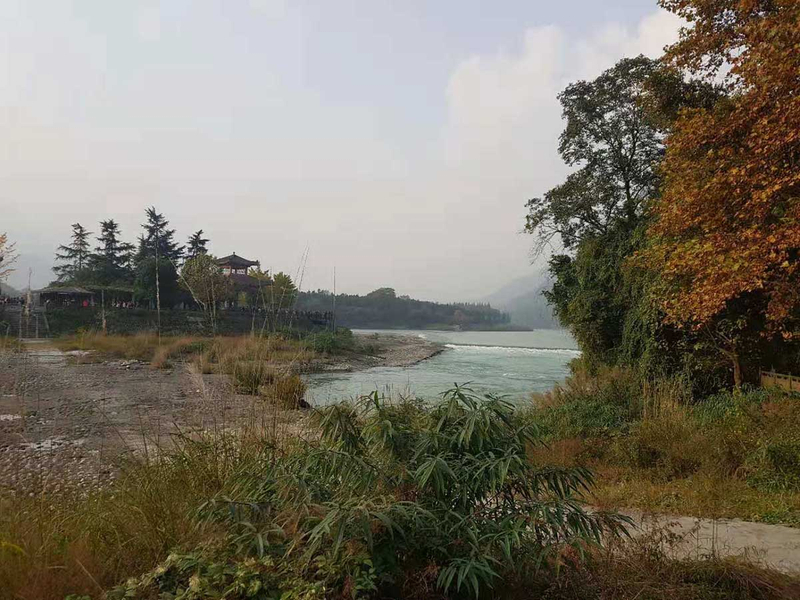 Li Bing, the provincial governor, set up the irrigation system in 256 BC and used a three-part engineering project to spilt the Min river using a central dam and artificial islands. The project was then passed on to Li Bing's son, who completed the project, and which abled to irrigate 32,000 square kilometres. 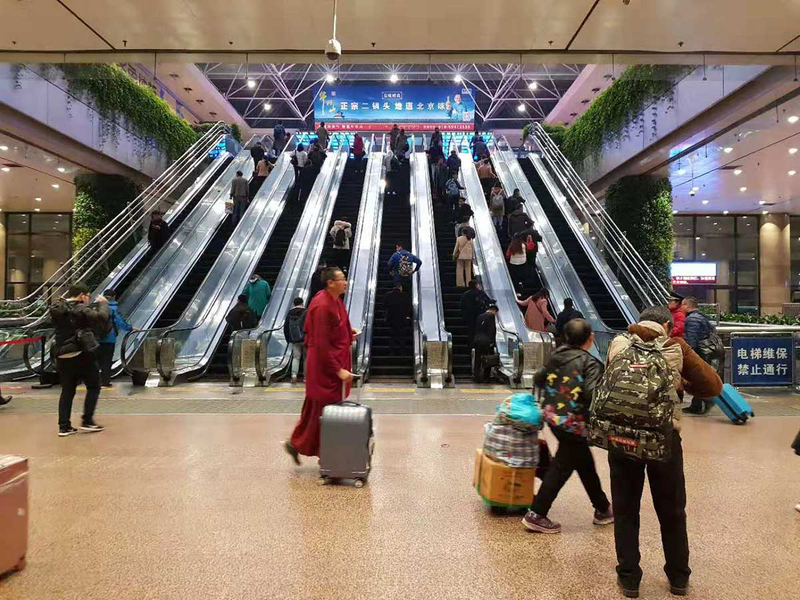 There are daily and weekly flights to mainland China from Dubai and Abu Dhabi operated by Etihad Airways and Emirates Airlines, who go directly to Beijing, Shanghai, Chengdu and Guangzhou. It is also possible to travel from other destinations in the UAE, such as Air Arabia from Sharjah to Urumqi. The flight usually ranges between seven and eight hours.